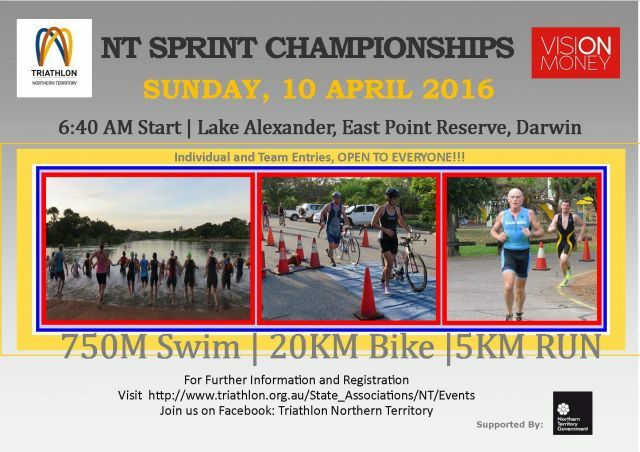 We had an amazing turn out for the second of our Sprint Series which included a Come & Tri event. Feedback has been extremely positive and we have welcomed a number of new members from the Come & Tri ranks and we hope to see more in the future. A huge thank you to Michael Spry for stepping in to undertake the RD role when we put the call out. Michael took the initiative and read the RD Guidelines on the website and said "I can do that" and got in touch. He did a fantastic job with assistance from those on sign in Roster: Moira Wigley, Clare Labowitch; Heath Porter (fruit/ice feedback - best fruit ever) and Phil, Dave, Cain and the water station superstars as well as the setup & back away crews who all volunteered on the day. We thank you, we had lots of happy participants on the day! 1. 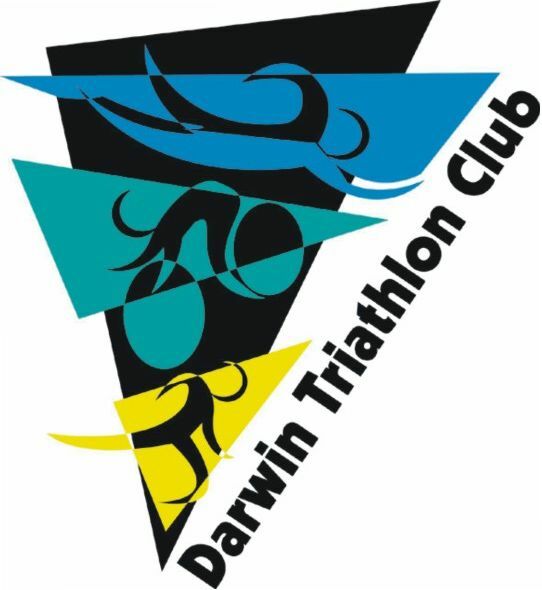 Worth checking our DARWIN TRI - BUY | SWAP | SELL | WANTED Facebook page, lots of bargains featured. 2. FOUND: At last event - pair of goggles. 3. LOST: At last event - tyre lever and a multi tool. 4. Thanks to Wicked NRG for adding prize packs for our draws, much appreciated. 5. Hearing Phil Gabel will be on the physio team at the Rio Olympics. 7. Congrats to Jamie Baldwin, now officially an Australian citizen! 8. We have members training the house down at the moment for upcoming events including Lake Argyle Swim, Ironman 70.3 Port Mac, Ironman 70.3 Putrajaya, Ironman 70.3 Cairns, Ironman Cairns etc. Would love to prepare a list of who is going where for future E News editions so asking you to please confirm your (or someone you know if they are shy) upcoming event & distance by email darwintriclub@gmail.com . 9. Graeme Parsons had a recent scary moment when out riding. If you have any dog problems we urge you to report to City of Darwin here. 10. Good luck to all our members heading to Alice Springs tomorrow for the Easter in The Alice Mountain Bike Muster. 11. Adam Hartley popping up in a cycling team. 12. 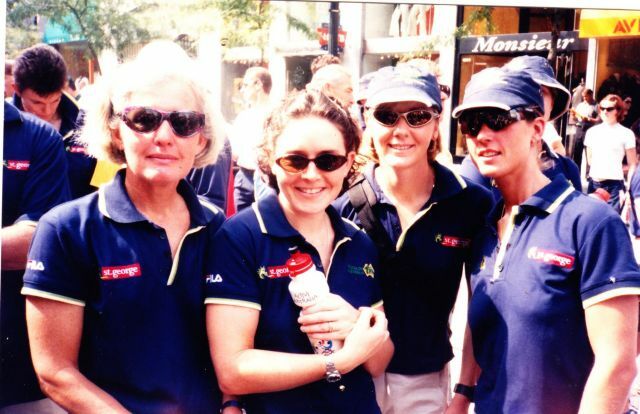 Tim Green is training the house down for his first Ironman (Cairns) and raising funds for Beyond Blue at the same time. His Story here - donations of any size welcome. 13. 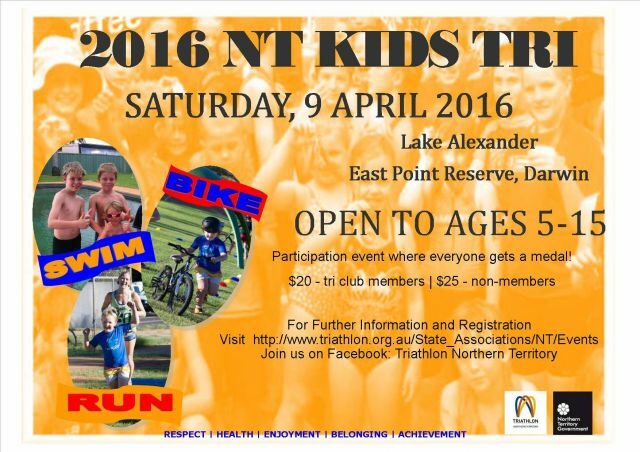 Great to hear Vision Money is sponsoring an Athlete Breakfast following the NT Sprint Championships.